But can he make good on his word? Londoners will have access to 5G mobile speeds by 2020, according to Mayor Boris Johnson. As part of a wider plan for London's infrastructure between now and 2050, Johnson will pledge this week to bring 5G to London in the next six years. That may sound like an ambitious target, with 5G still in the early stages. The University of Surrey is involved in the project to bring the faster speeds to the country, but right now it's unclear what the 5G standards will even be. But earlier this year we reported that the EU was teaming up with South Korea to research and develop 5G, and with South Korea also aiming for a 2020 5G rollout, this will hopefully play a helping hand to the UK. Back at CeBIT, David Cameron also announced that the UK would collaborate with Germany in its 5G research, with the University of Surrey chosen as one of the involved parties. 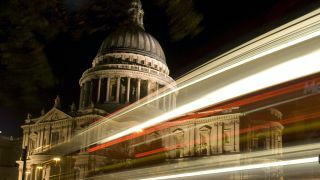 "Rapidly improving the connectivity of this great city is a key part of the Infrastructure Plan for London," said Johnson as part of the new initiative. Sounds great, but in the meantime can we get working on improving 4G? The mayor will also pledge that better information on broadband speeds about individual properties be made available to the public, something that will be very welcome indeed.